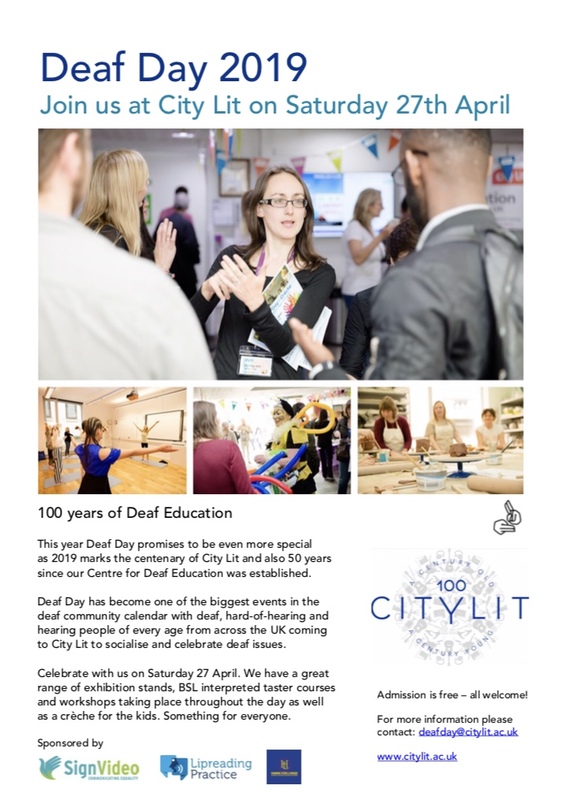 This year Deaf Day promises to be even more special as 2019 marks the centenary of City Lit and also 50 years since their Centre for Deaf Education was established. Come and join in on Saturday 27 April, City Lit have a great range of exhibition stands, BSL interpreted taster courses and workshops taking place throughout the day as well as a crèche for the kids. So there’s something for everyone.